One of the most enjoyable ways to learn about the history and society of a country is to participate in cultural activities. Luckily, cultural activities for foreigners in Korea are readily available and abundant. Whether it is wearing partaking in a traditional tea ceremony, watching the change of guards, or wearing a hanbok (한복, traditional Korean formal attire) there are numerous ways to get involved. Undoubtedly the most popular cultural activity for foreigners is dressing up in the hanbok. In Korea, the hanbok is typically only worn on special occasions, such as weddings, birthdays, and specific holidays. However, foreigners visiting Korea can easily find opportunities to adorn themselves in Korea’s beautiful formal attire. 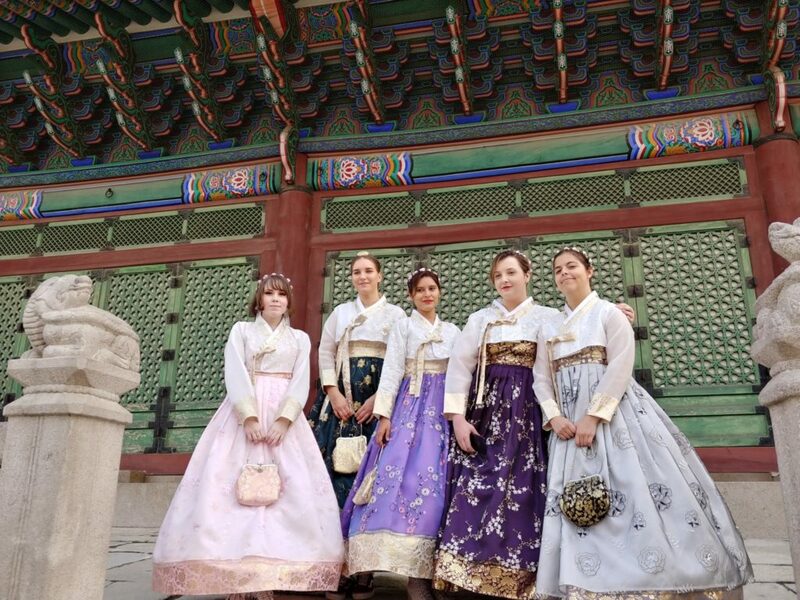 Especially in areas concentrated with historical monuments and buildings — think the Gyeongbokgung Palace area — hanboks can be rented at an hourly or daily rate to wear and peruse the neighborhood at the wearer’s leisure. Hanboks can be worn as part of other cultural activities, such as tea ceremonies or participating in historical reenactments. Korean tea ceremonies are a wonderful opportunity to combine wearing a hanbok and learning about tea culture and history in Korea. 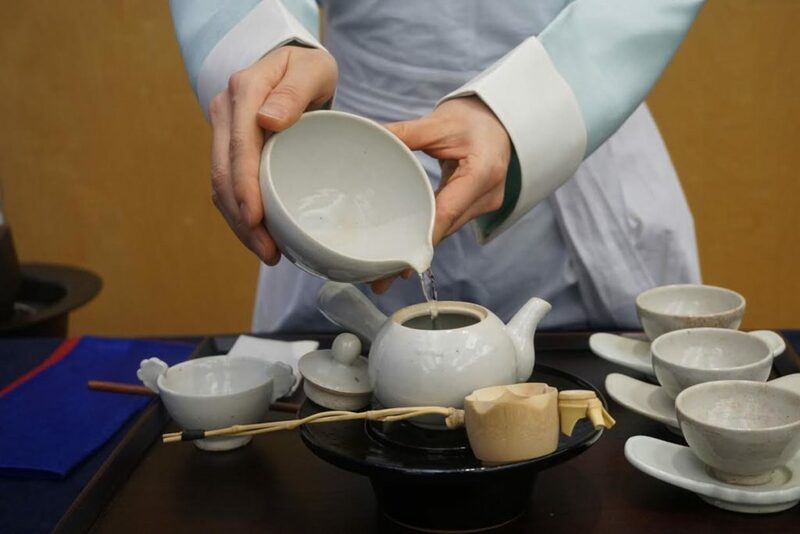 For a fee visitors are able to learn and participate in the Korea’s sacred tea rituals. Tea ceremonies were historically held for guests to create an atmosphere of ease and relaxation. In recent years, tea ceremonies have become increasingly popular as have the study of tea for the sake of health benefits and spiritual cleansing. Korean tea ceremonies are often held in intimate spaces that are often in old hanoks (한옥, traditional Korean homes) and guests are asked to change into hanboks. These tea ceremonies are led by trained and informed hosts who explain the history and purpose of each step in the tea ceremony, often showing off the details of Korean ceramics and the variety of Korean tea leaves. Tea ceremonies are a fantastic way to learn more about why and how tea became such an important aspect of modern-day Korean culture and society. These ceremonies also serve as a good excuse to dress up in a hanbok, drink tea with friends, and sample delectable sweet rice cakes. Cooking classes may not be for everybody, but one of the best things about Korea is its food. Learning to actually make these dishes mean that foreigners can readily access Korean food when they are no longer visiting or living in Korea. Cooking classes can easily be found via a quick Google search or at the local cultural center. Popular dishes that are taught are bulgogi (불고기, marinated “fire” beef), japchae (잡채, glass noodles), and kimchi (김치, spicy pickled cabbage). In fact, for those who are adventurous and come to Korea at the right time of the year can even participate in Korea’s famous annual kimchi-making festival.